The RT Documentary team did most of its filming in the town of Shaddadi, located in the Syrian province Hasakah, which has been partly overrun by IS jihadists. Following the liberation of Shaddadi, which is home to some 10,000 people, RT filmed Kurdish soldiers walking around what used to be the homes of IS fighters and examining piles documents that had been left behind. 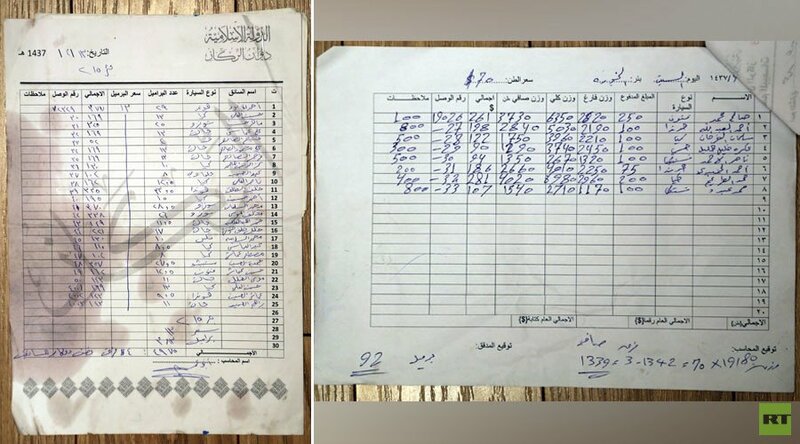 Some of the files seized at the scene turned out to be detailed invoices used by IS to calculate daily revenues from their oil fields and refineries, as well as the amount of oil extracted there. All the documents had Islamic State’s symbol at the top. The files showed that “IS has kept very professional records of their oil business,” said the author of the new RT Documentary on Islamic State filmed in northern Syria, who chose to remain anonymous for security reasons. Every invoice included the name of the driver, the vehicle type driven, and the weight of the truck, both full and empty, as well as the agreed upon price and invoice number. One of the discovered invoices dated 11 January, 2016, says that IS had extracted some 1,925 barrels of oil from Kabibah oil field and sold it for $38,342. RT spoke to local residents who had been forced to work in the IS oil industry about what it was like working at the terrorist-controlled oil refinery and where the extracted oil was sold. 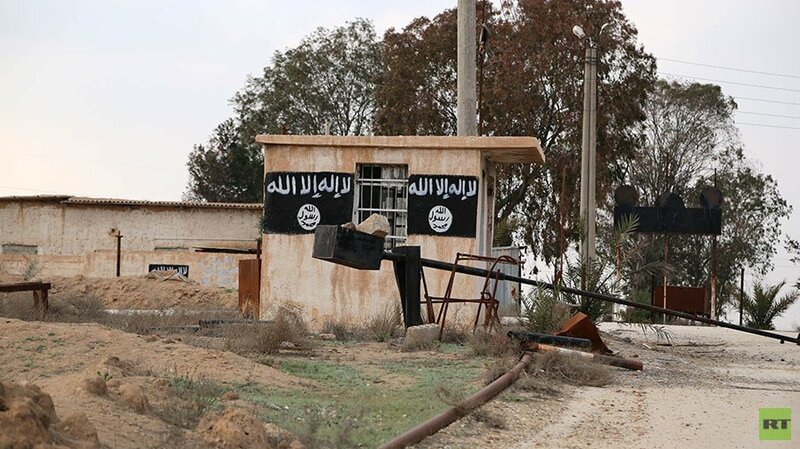 Important information revealing the connection between IS and Turkey was provided by a Turkish militant previously captured by the Kurds. 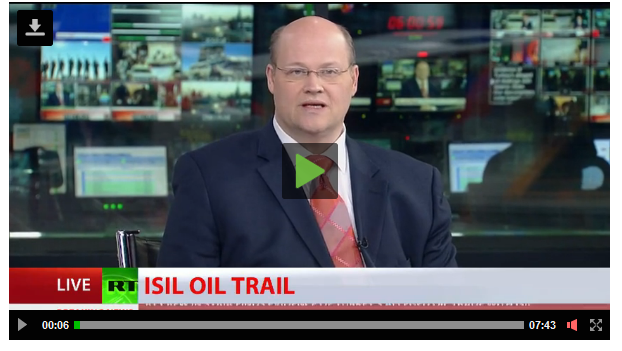 The IS recruit said on camera that the terrorist group does, in fact, sell oil to Turkey. RT was also able to speak with a Kurdish soldier in the area, who displayed a collection of passports he had gathered from the dead bodies of IS fighters. 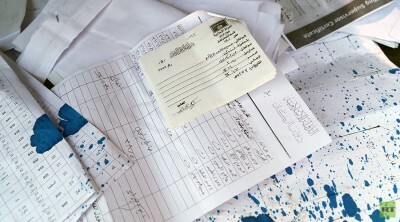 The documentary crew’s exclusive footage shows the documents of several jihadists who had come from all over the world, including countries such as Bahrain, Libya, Kazakhstan, Russia, Tunisia, and Turkey. 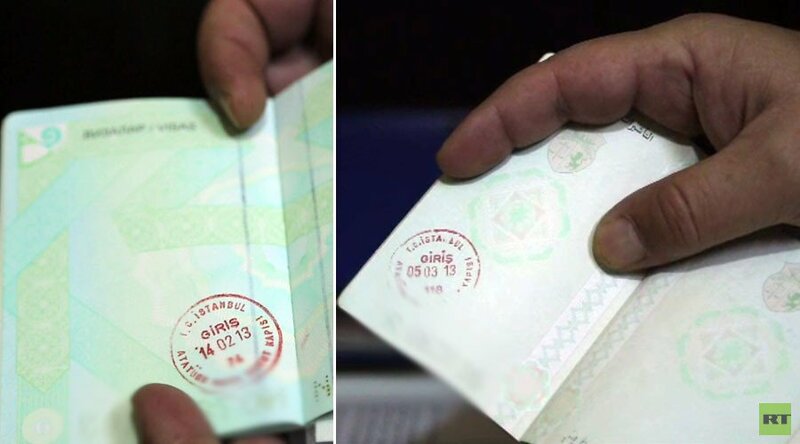 Most of these foreign fighters seemed to have come via Turkey, as all of their passports contained entry stamps issued at Turkish border checkpoints. A YPG member also provided some photos that were retrieved from a USB drive allegedly belonging to future IS militants. One photo showed three men standing in front of the Obelisk of Theodosius, known today as Sultanahmet Meydani, a famous landmark in Istanbul. The next photo showed the three among other fellow militants somewhere in Syria – all armed and equipped. One of the IS fighters that RT interviewed revealed that there had been no border guards waiting for them when they crossed from Turkey into Syria. Turkey’s logistical support for extremist fighters trying to overthrow Syrian President Bashar Assad’s government, or at least its non-interference with their cross-border movements, has been widely reported, but little has been said about the ideological support coming from Turkish soil. Among the documents left behind by the terrorists at an IS-run hospital, RT’s crew discovered an Islamist propaganda leaflet printed in Arabic titled “How to wage a perfect battle against the criminal Assad’s regime,” which described ways to combat the Syrian government. 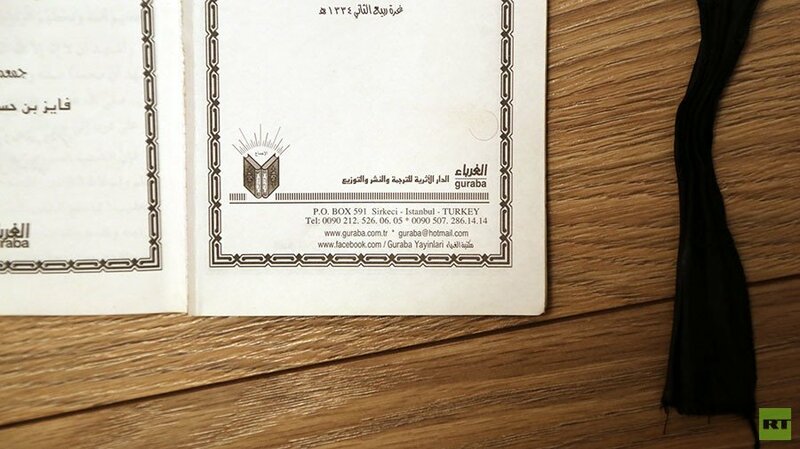 Curiously, the brochure was printed in Turkey, with the cover openly displaying the postal address and phone number of an Istanbul printing house, supplemented by Facebook contacts.